This is a dynamic group of Women living postive with Hiv/Aids. 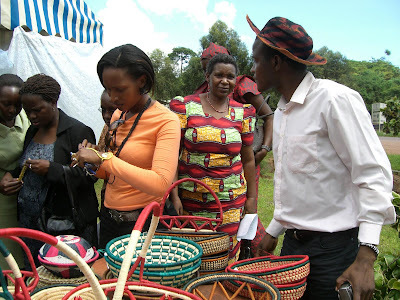 The Mission of this project is to build women capacities in entrepreneurship, we do this by promoting their locally hand-made handicraft as well as identifying possible sales outlets for their produced materials. The second most important aspect of this group is friendship and contact building: majority of these women are single mothers and many of them are stigmatised, some even isolated by their own families. We help them to team up with women from other parts of the community and were possible from as far as overseas, the goal is to provide care and acceptance. 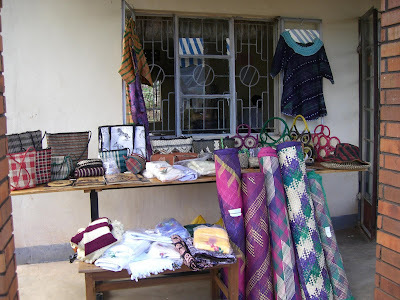 The women attend at AMI different tailor-made training seminars such as; basic financial management, entrepreneurship, personal and self development, primary health care and counseling. The MOH music dance and dramma group meets regulary for training and preparation for community performances. Once a year, MOH exhibit their products. This highly anticipated big day brings together guest lists like local politians, NGOs, private persons, tourists, traders, and most important, their family members. 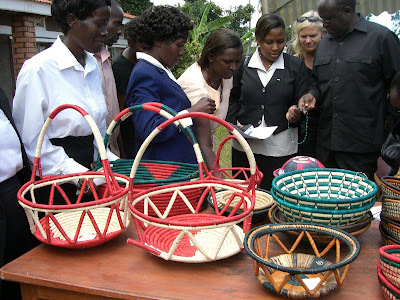 Because of inadquate resources, the women obtain their raw materials from the forests, and also recycled materials from waste products. This is financially affodable but also enviromentally friendly. The money got from these items made goes directly into helping in the facilitation of the women project activities and as individuals. through profits from this project underprivileged women including widows and single mothers, are able to support, care for their families and educate their children. To facilitate holistic personal and societal development through capacity building, research, HIV/AIDS Care and Management using practical knowledge and skills to enable individuals perform to their best with the resources available. Women at the Mothers of Hope Art & Craft Exhibition Gala attends to the National President JCI-International and MUBS Enterepreneur Professor.